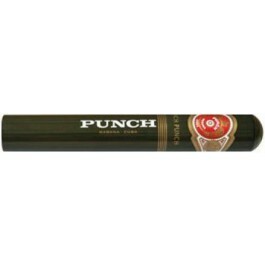 The Punch Punch is a marvelous medium bodied Corona Gorda, of 5.6”(143mm) long, of 46 ring gauge, and comes in aluminum tubes in a 10 cigars box. The first puffs are cedary like a good classic Cuban, with just a hint of spice. The start is quite mild but the power increases little by little. The final third is rather earthy and close to full-bodied. Nice flavor, but rather one dimensional. Still an excellent “go-to” cigar as an everyday smoke.